CHART REFLECTION. Glee is returning to TV on Apr.12 and Popcrush reveals that Swedish singer Lykke Li will be covered. And she’s not in a bad company as songs from Céline Dion and Aretha Franklin will be on the show. Tina will perform Lykke Li’s “I Follow Rivers,” coincidentally produced by Björn Yttling of Peter, Bjorn and John who WelcheMusic covered only recently. 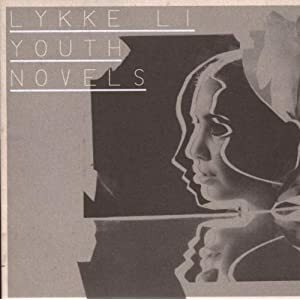 The track is included on Lykke Li’s sophomore album Wounded Rhymes and was the second single off the set after “Get Some.” The latter track has been featured on the hit show Grey’s Anatomy (in the episode Don’t Deceive Me (Please Don’t Go)). Née Li Lykke Timotej Zachrisson, the 25-year old singer was born in Ystad, Skåne. Her breakthrough came in 2008 when she launched her debut album Youth Novels.